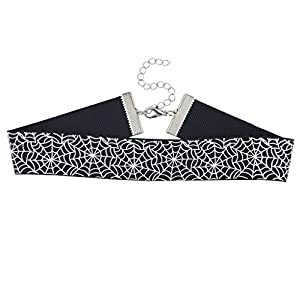  Don't get tangled in this web. 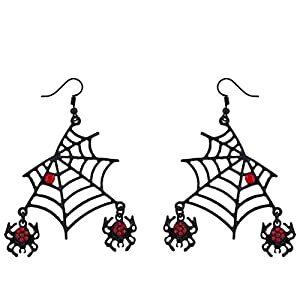 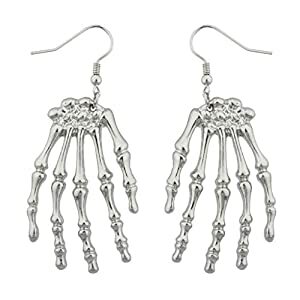 Fun spider earrings are the perfect accessory to your Halloween costume! 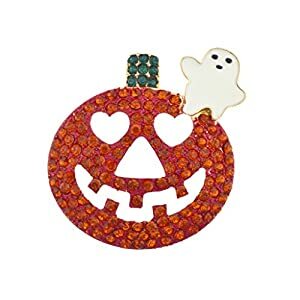 Black plating with red rhinestones  Let your friends and family know you care as these are an amazing Halloween gift! 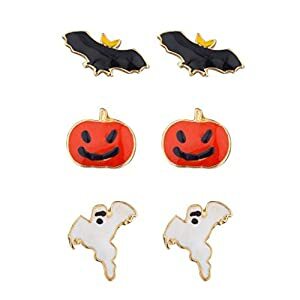 -  Measures: 3"
 Get in the spirit this halloween season with this festive earring set  Set includes black enamel bat, orange enamel pumpkin, and a white email ghost stud earrings in a gold tone finish  Measures: 0.5"